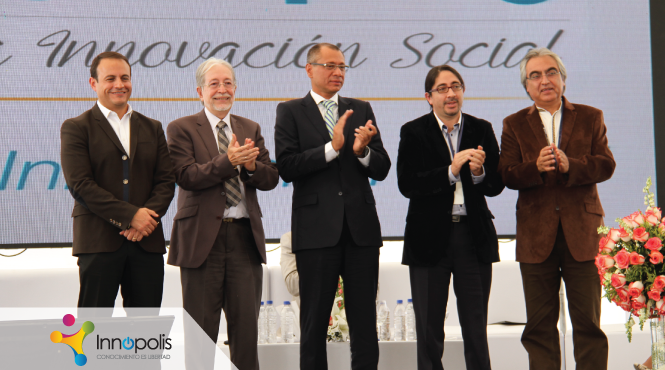 The innovation event of the year, Innopolis, opened this January 15 in the City of Knowledge Yachay with the presence of Vice President, Jorge Glas Espinel, authorities and over 3,000 participants from around the country joined the National Pact Knowledge by Ecuador. The Vice President, who in an interaction space of experiences and knowledge in his speech referred to the construction of a new “productive” and an important step “beyond an investment, is a covenant, a covenant, whose guarantors are all Ecuadorians essential part of this agreement for innovation to come to the knowledge economy “. Undoubtedly,he said, “Ecuador today is different, all these changes that have been generated in the last eight years allow us to be in 2015, the year of innovation”. The meeting of the actors of innovation in Yachay is a milestone in the history of the City of Knowledge and the country. Public and private universities, research institutes and public institutions, are present in various spaces Innopolis until next January 18 in San Miguel de Urcuquí Canton province of Imbabura. Secretary of Education, Science, Technology and Innovation, René Ramírez, announced the National Innovation System like structure that allows the articulation of the actors of the triple helix: business sector, academia and state. “We are building a more cohesive society. The main component of the social and productive transformation is education (…) Innovation is the mainstay of freedom and can be no innovation without knowledge or value added, without scientific research, “said Ramirez secretary. 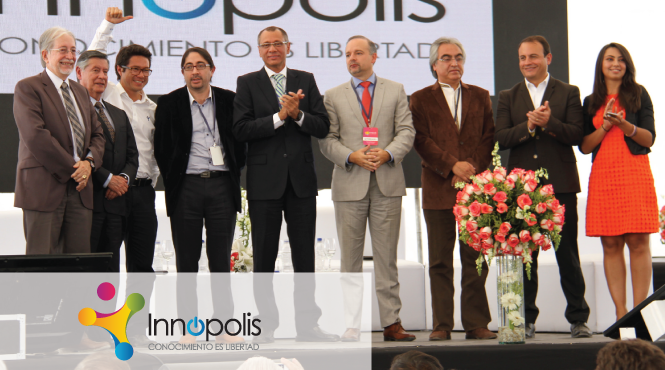 Among other attendees Innopolis authorities are: the Foreign Minister Ricardo Patiño; General manager Yachay EP, Héctor Rodríguez; the rector of the Central University of Ecuador, Fernando Sempértegui;Rina Pazos, General Secretary of Science, Technology and Innovation Senescyt; Gustavo Baroja, prefect of Pichincha and Chairman of CONCOPE; and Patricio Espinosa, General Manager of IBM in Ecuador.